From its humble beginnings in the 90s, today, the K-pop industry has now become one of the world’s largest music market. It strongly enthralled a legion of fans from different parts of the globe to enter its resplendent realm. Its influence burst to different people’s playlists, scorching music charts, fashion runways, and glimmering stages. As it continues to reach new altitudes of success, a fresh generation of artists also arises to help catapult the future of K-pop in broader territories. Here are the rookies that so far obtained an A+ on the fans’ scorecard. After their stellar stint individually in Produce 48, IZ*ONE continues to vie for survival in the fiery competition to the top. Like a beautiful flower, IZ*ONE continued to grow in the hearts of the public. 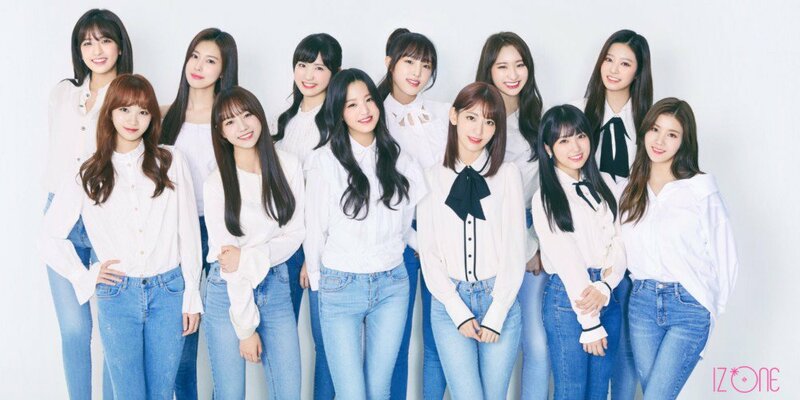 Comprised of 12 ladies, IZ*ONE debuted last October 29, 2018, with an extended play album Color*Iz led by the single La Vie en Rose. Apart from its commercial success, it’s not hard to love the song for its tasteful fusions of different music elements like pop and electronic sounds. Every aspect of IZ*ONE’s debut is wonderfully put together. From the music video up to their choreography, everything speaks volumes as to why IZ*ONE is on top of their game right now. You can see that they shine as one unit but individually, each girl has her magnetizing beauty when performing on stage. With a continuously blossoming career, IZ*ONE is confidently walking on a flowery road right now. Compared to their fellow rookies, Stray Kids isn’t somewhat new in the K-pop wonderland. Since their arrival from the Hellevator in 2017, fans already had a glimpse of what Stray Kids can bring to the table, and they did not disappoint. Fast forward, Stray Kids made their debut on March 25, 2018, with the album I Am Not led by District 9 as the title track. JYP made a bold yet effective move for debut promotions of Stray Kids because the group’s debut was soon followed by two more comebacks with albums I Am Who and I Am You. It’s noticeable that the music of Stray Kids is mainly influenced by electronic and hip-hop flair once you listen to all of their releases. No one can also deny how their music videos show a high quality of production value. It’s a delight to watch them perform on stage because they bring in a youthful zest with an angsty elan that’s always nice to see. The word ‘stray’ may be a part of their name, but they aren’t going away from under the spotlight anytime soon. Despite a chain of bad decisions from Cube Entertainment in the past, their move of debuting (G)I-DLE gave a new lease of life for the company. Composed of six members, (G)I-DLE gave a debut splash of mystic tropical summer with the song Latata with the mini album I Am that seems like a formal introduction of who they are. Fortunately, people don’t have to ask twice because (G)I-DLE served a music zest that’s addicting and infectious. Each of the girls has a spellbinding power that’s very apparent on their stage performances. Stage presence is something that only a few artists have, and (G)I-DLE’s name is on the list. (G)I-DLE has the qualities to become a successful girl group. Will this be the start of Cube Entertainment’s redemption? That’s something people will keep an eye on for sure. Coming from a company that holds one of the most innovative K-Pop groups like VIXX, it created a buzz when Jellyfish Entertainment announced that a new boy group would join their roster of artists last August 2018. Even the members themselves have also admitted the pressure heavily sitting on their shoulders as the first boy group of Jellyfish Entertainment after seven years. Similar to their seniors, VERIVERY debuted with Ring Ring Ring that shows a mix of bright and effervescent flair on January 9 including a mini album VERI-Us. Although the music video will not require you to formulate theories until your head hurts, it will surely keep the smile on your face for the entirety of it. The montage is done in typical K-Pop fashion that explodes with bright colors, accentuated by sharp dance moves and the handsome faces of VERIVERY members. For a debut song, Ring Ring Ring is a track that oozes with catchy beats that can make sullen mornings and road traffic bearable. The members are also talented, which is evident in their pre-debut videos, VERIVERY has a solid vocal and dance line. When it comes to stage performances, the boys are also delivering impressively. None of them are fading away in the background which tells us that each one of them has an unmissable charisma. The group will succeed if Jellyfish Entertainment will play their cards right because the talent and star factor are already there. Overall, VERIVERY holds a hopeful future in the years to come. After all, VERI stands for Various, Energetic, Real and Innovation. It’s already an assurance that there are more facets of this group that people will see. It’s nice to see how RBW Entertainment has slowly grown as a company in the last few years. The home of vocal powerhouse group Mamamoo and VROMANCE is now joined by ONEUS to be also a part of the company’s representatives in K-pop music. The six-member boy group debuted on January 9 with the title track Valkyrie together with an extended play album Light Us. Upon listening to it, the song has different layers that deliver a sense of cohesiveness and slowly builds up for a brimming musical outburst. It’s the kind of song you wouldn’t usually expect from a rookie group which is a positive thing. Aside from being exquisitely done, the music video also gives a lot of room to further take the group on deeper waters, concept wise. For the choreography, it is noticeable how fluid and vigorous it is which always works well together. Right now, it’s safe to say that ONEUS’s is one of the strongest debuts of 2019. Bright, quirky, and fun. These are the words that will first register in your mind once you listen to FNC Entertainment’s newest girl group. They debuted January 21, 2019, with a single album Let’s Play Cherry Bullet led by Q&A as the title track. It’s commendable that FNC Entertainment didn’t slack off with their jobs to give the group an impressive debut. The song is very catchy, perfect for a workout routine or while on your way to the office. Its music video was well-conceptualized and gave a feast of cute graphics and popping colors frame by frame. Right now, it’s safe to declare that Cherry Bullet is absolutely among the rookies on people’s radar. As K-pop’s popularity rises through the years, it’s astounding to see that companies outside the big league are keeping up with the game to write their tale of success in the music book. Amidst the sea of boy groups, ATEEZ is one of the newcomers that has been snagging attention for their hard-hitting songs, powered by riveting concepts. The eight-member boy group first waved their flag last October 24, 2018, with their first mini-album Treasure Ep. 1: All to Zero, together with two tracks Treasure and Pirate King. Both songs have a solid combination of banging beats and soaring vocals. All of their music videos are also visually captivating and have a delightful mix of dark and vivid hues. As you watch their stage performances, you can feel the blazing energy of each member that radiates with every move and verses they drop. The road to success is long, but if they will continue heading towards the right places; ATEEZ will undoubtedly reach their auspicious destination.